Mountain biking and road racing may come from the same DNA, but much like Snooker and Pool, there is no denying both are different sports that require different levels of skill, fitness and technicalities. However, if you find you have certain talent for one, the likelihood is you will be able to utilise a number of those attributes over to the other code. That is certainly the case in cycling and Mountain biking as we look at some of the most successful transitions from road to dirt and vice-versa. Now retired, Dane Michael Rasmussen began his career mountain biking and was quite the dab hand at the sport. So much so in fact he won the 1999 Cross Country World Mountain Bike Championship defeating runner up Frenchman Miguel Martinez and third place Belgian Filip Meirhaeghe. In 2001, Rasmussen made the switch to the road after earning a Stagiaire with CSC-Tiscali and would go on to shine in the 2005, 2006 Tour de France winning the mountain classification with aplomb. He clearly put his mountain biking prowess to good use as all four stage wins came in the mountain classification. However, Rasmussen’s career was tainted by doping scandals and in 2013 he openly admitted that he had cheated for 12 years and was subsequently banned from the sport for two years. Australian Evans was a serial silver medallist during his mountain biking years in the 1990’s and early noughties. In fact, five silver medals followed for Evans at various Mountain Bike World Championships before making the switch to road racing in 2001 after impressing on the 1999 Tour of Tasmania. 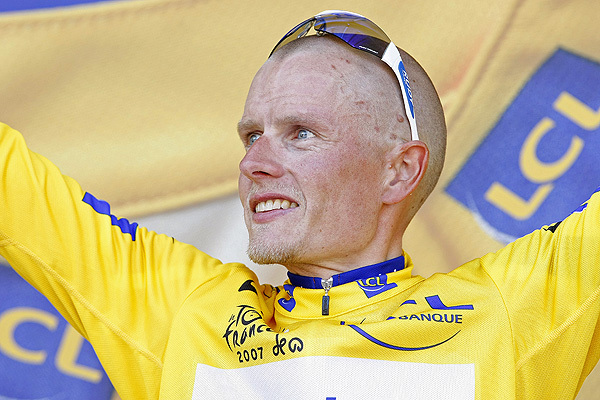 Evans was proclaimed as a potential future Tour de France winner and achieved the feat in 2011, although one is where it remained unlike 2019 favourite Chris Froome who can be backed at 11/4 with Betway as of the 10th December to win a fifth Tour de France title. 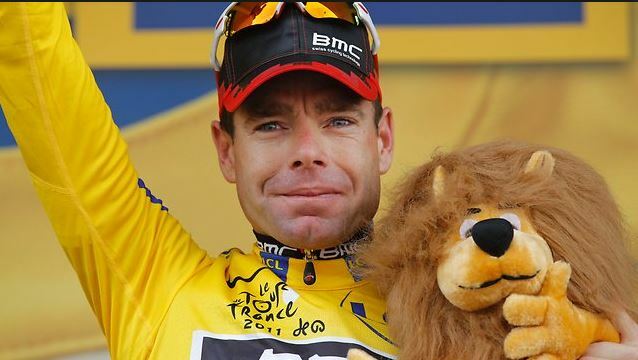 He did, however, still go on to have a hugely successful road career outside the Tour de France as well which included a Commonwealth gold medal in 2002 as well as a World Championship gold in 2009. However, Evans returned to his mountain biking roots in 2017 taking part in South Africa’s epic eight-day Absa Cape Epic stage race in the master’s category. Remarkably, Evans and team mate George Hincapie won their category at the age of 40. The Slovakian Tourminator has a fine record on the road including eleven stage wins on the Tour de France and four individual stage wins on the Vuelta a España and three World Road Race Championships. 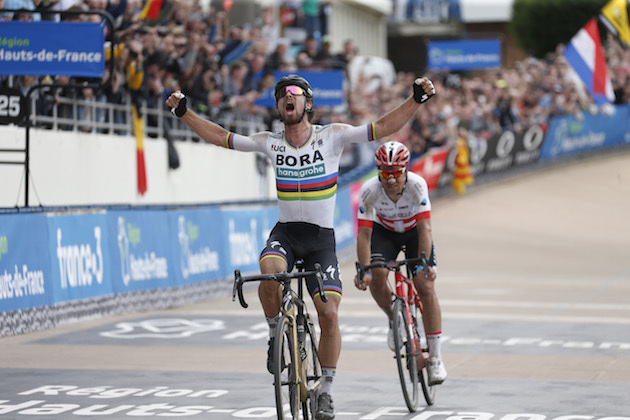 A host of other wins aside from the grand tours have followed for Sagan but there are too many to list here. But it is Sagan’s off-road exploits for which he has earned a sturdy reputation. Most notably at the 2016 Rio Olympics in which were it not for a series of mechanical issues, he may well have claimed an extraordinary gold medal in the cross-country race. At the end of lap one, Sagan was in the top three and out to spring a surprise, however, a front wheel puncture ended his hopes. Admittedly, Sagan is a former junior World Mountain Bike champion and is well versed in the discipline and at just 28-years of age, what’s the betting on Sagan to reappear for another crack at Cross-Country gold at an Olympics coming soon? After all, that is what we all want to see, isn’t it? American Amber Neben got her mountain biking career underway with a two-and-a-half-year spell with the SoBe HeadShok team and achieved a second place at the 1999 collegiate US National Mountain Bike Trials. A certain Willow Koerber as the winner that day with Kelli Emmet in third which just goes to show how talented a mountain biker Amber Neben is. Technology has come a long way since 1999 in mountain biking but rather than stick with the progression of the sport, Neben found she has a remarkable talent for road racing after winning the Cascade Classic in 2001. 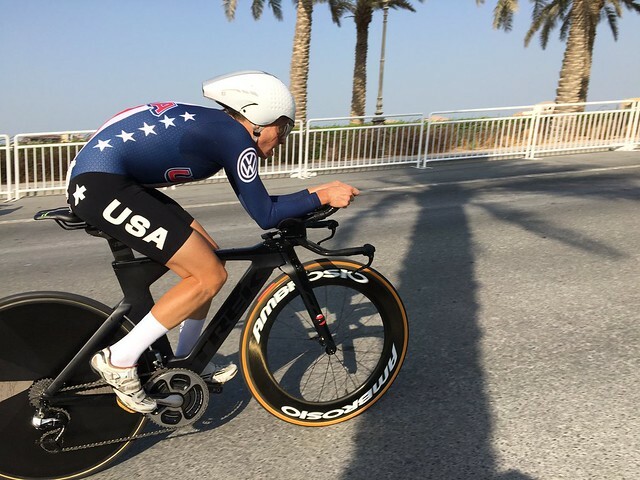 More success would follow after making the permanent switch to the road including two World Time Trial Championships in 2008 and as recently as 2016. However, doping reared its ugly head in 2003 with Neben testing positive for banned substance 19-norandrosterone. Despite receiving a suspension, it was determined the substance was taken unintentionally and Neben soon accepted regular tests to prove she was clean at all times. Well the Sea Otter Classic has come and gone for another year and we were there again. What could you say about the SEA OTTER CLASSIC other than it’s one of the greatest bike festivals any avid cyclist could ever attend. Held at the Mazda Raceway [Laguna Seca Raceway] in Monterey, California every May, it’s one to not miss. Every cycling discipline is just about represented, so what better way to show you Sea Otter 2017 then through the eye of the camera lens and after long hours of going through thousands of photos this is what we have for you in the coming Sea Otter Classic 2017 segments, so sit back and enjoy . THE DAINESE GUYS WANTED TO KNOW IF THEIR MAN ROSSI MADE POLE AT THE AUSTIN GP. CANYON Bikes is new to the US market, so what better way to show the love then to give away a free bike a day. CANYON gave out a DH bike, enduro bike, trail bike, and road bike. There was some happy people at Sea Otter. Getting you grub on is always a choice when your here and you have quite the selection when it comes to food. From Chinese, Mexican, BBQ, Indian, and good old Bratwurst, you have it all. Let’s not forget the beer garden’s. Sierra Nevada has you covered along with a few other micro brews to choose like 805. THE BEST BRATS IN TOWN BABY!! THIS GUY HAD THE RIGHT IDEA OF GOING TWO FISTED. BE CAREFUL, DON’T SPILL THAT LIQUID GOLD!! THE SERVICE BOOTHS LIKE SRAM ARE ALIVE WITH NONE STOP SERVICE. THESE GUYS ARE ON TOP OF IT TO KEEP THE RACERS GOING. YOU COULD NEVER GO WRONG WITH A HAT. All in all from the start to the finish Sea Otter is a cool place to be, fun for all ages. OF COURSE SEA OTTER WOULD NOT BE COMPLETE WITHOUT SEEING THIS FURRY GUY. Well hope you enjoyed pics from the day to day at Sea Otter Classic 2017. Next the cool, the bikes, the funny, and the Kids Corner. What this means is when you attend an event like this you will see some of the most interesting people an well as going on’s here. With this many people that are into cycling I have to say we are a rear group. Beer is important to cyclist as well as wine. Sierra Nevada knows how to do it up right. Day two and so much more. So He begins to tell me about this new Mountain bike discipline that’s all the rage and that the discipline is very precise in how you do it, plus you’ll get in great shape. RL begins to tell me that the other riders out there may not approve of us and look down at us. Well I’m in for losing a few pounds, besides I like going against the grain. We meet up and this Saturday morning is like no other. The crowds are out in abundance, more so then usual. Large groups of hikers, Mountain bikers, and runners. I’m dressed to the Teee’s as RL is. Lady P looking at us thinking, they think they are so pro (always in our minds, lol). RL goes over everything with me; I’m cool with it, so let’s do this thing. I know it will be the greatest thing ever. It makes me feel like I have new blood in me. We set up our rides, dial in our gear, go over our riding styles and how we will hit the jumps and ride the rough. As one may expect, it came to know surprise that the main stream riders gave us looks of discuss, crazy, stupid, and even wonderment ( yeah Lady P did think we were crazy, but she went with it). RL and I hit the trails “MTN AIR BIKING”, that’s right, you heard me, “MTN AIR BIKING”! And why not Air Bike, the cost is low (only gear, and chances are you have that already) .If you plan on AIR BIKING good safety gear if monument. If you go down hard you can break a leg, twist an ankle, or worse hit your head on the ground. We were having fun catching big air, riding rough rock sections, and hitting fast switchbacks. What an awesome feeling!! At the end of the ride I was invigorated, though a little wiped out, as was RL. This made me think of the guy who invented the wheel. I bet all his buddies thought he was a nut, next thing you know you have the Flintstones. 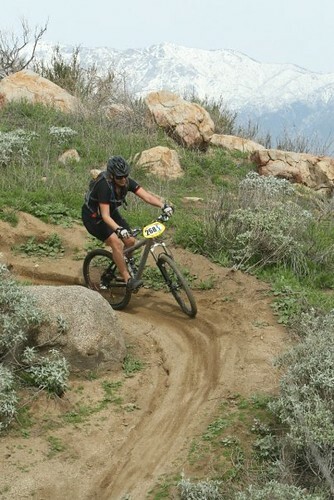 Just think what could be next, Air Mountain Bike racing Big Bear perhaps??? Brown Santa (aka RL) stopped by my office last week to drop off a nice little package from Ibex Wear. I have always appreciated simple jerseys. 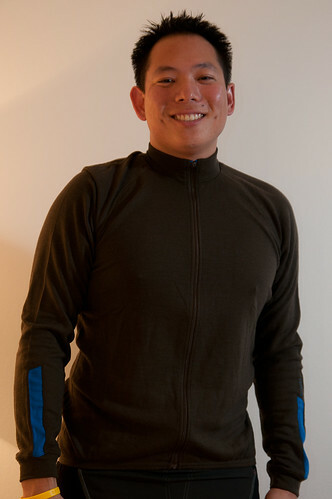 When I first started off mountain biking I liked simple synthetic mountain biking jerseys but now I have also come to appreciate wool and the roadie-jersey with back pockets. Ibex Wear has always been one of those companies I drool at from afar. Just looking at the pictures, I could see the craftsmanship and attention to detail. Back to Brown Santa’s nice little pacakge: What did I receive? What I instantly noticed about all the clothing is the attention to detail. 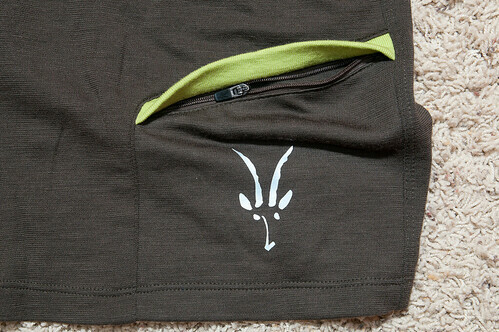 The little extra bits of color, the flat seams or the flap that covers the zippered pockets are all nice touches that really set apart Ibex Wear. Each zipper has a bit of rubber with the company logo! This is not even mentioning the fact that all these clothing pieces are made out of very soft merino. 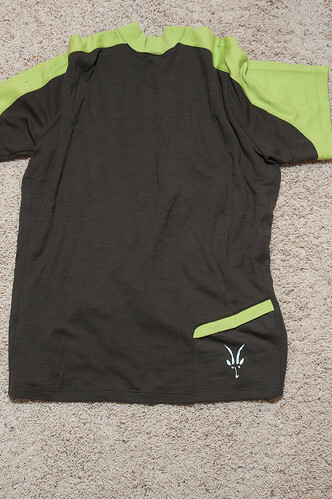 Indie Full Zip S/S Jersey features contrasting color flatlock stitching. I dig ’em. I found that the Ibex Wear’s sizes run pretty true. If you look at their size chart at 6’`” and just over 200lbs, my measurements are on the high side of Large. Because I prefer slightly larger jerseys and all wool tends to shrink in the wash, I asked for XL sized clothing. My only thought after putting everything on (not all at once!) was that the shirts end a little lower than expected (inches below the waste) and the shorts are quite a bit longer than what I am used to. Again, with a little shrinkage in the wash I think they will be fine but I will definitely keep you posted on how these clothes fit after a few washes. 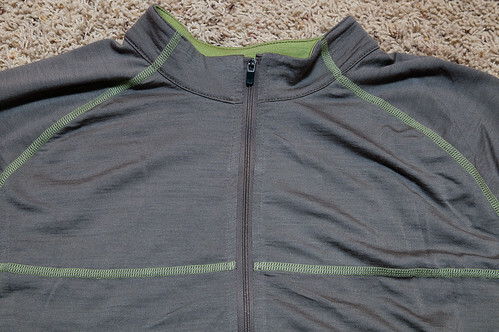 Mountain Jersey has a rear zippered pocket on the bottom right. Perfect for keys and a small cell. 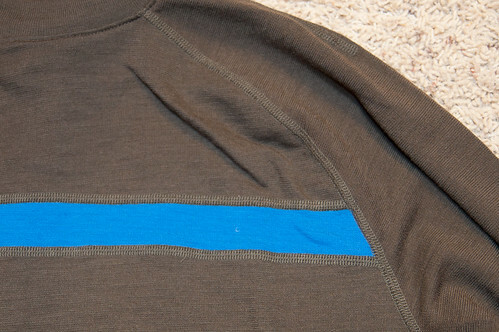 Overall, my first impressions are that the the wool is quite comfortable, the clothing has excellent stitching and I really dig the small touches and functionality. We will see how the Ibex Wear clothing fits over time and how they do under normal usage I will put them through over the next few months. Keep checking back for a full review. 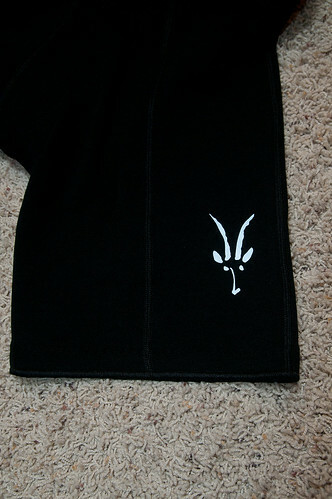 Ibex Wear can be found here. ABOUT ME: 5’5, 32 year old female. I love all kinds of riding but Mountain Biking is by far my favorite! I won’t sugar coat – I’ve had these jerseys for a long time! Work and school have kept me busy for some time now but I didn’t want anyone to miss out on some good stuff here. So after a thorough review of these jerseys – if these were going to fall apart or tear, it would have happened by now. These have been washed and worn countless times, and these look as good as the day I got them. I think I even took a bad spill when racing, while wearing the Tempo Jersey, and it survived with no rips or tears. One of my favorite features is the silicone gripper on the bottom hem. For those of us that don’t care for an elastic bottom this is a brilliant alternative! Love, love, love it! Keeps the jersey in place without too much restriction. The cuts on these are feminine and these are well ventilated jerseys. I never felt too warm in these and they breathe great! The length on these is just right as well. Not too short or long. I never felt the need to pull down on these jerseys as I have with others. The Tempo is definitely my favorite between the two jerseys for its breath-ability and fit. I also appreciated the 8′ locking front zipper on this jersey. You won’t be disappointed with this purchase! Price point is decent too. You won’t break your budget with these jerseys. MSRP Priced at 39.99 for the Vision Jersey and 59.99 for the Tempo Jersey. The holidays are around the corner! You will want to add one of these jerseys to your wish list! 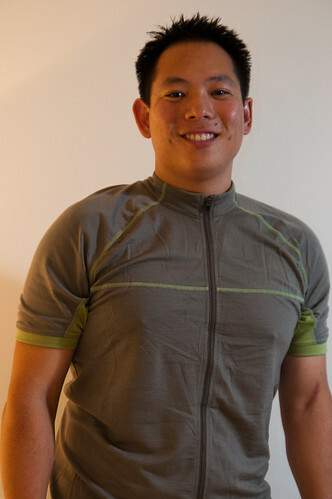 Racing in the Bellweather Tempo Jersey. My knee is waaay better thanks to..
My sister told me that her husband started taking this stuff. She couldn’t remember the name at the time, but she knew it worked for him. All she really said was “Liquid Glucosamine.” and that it was sold at Sam’s Club. Since I’ve had this knee pain for over a year and a half, I’ve tried all sorts of joint supplements, knee braces and such, but nothing seemed to have really helped. I figured I had nothing to lose other than the pain. So I picked up a bottle and boy I tell you what this stuff is amazing. It’s made by a company called Drinkables. Liquid Joint Care works to support healthy joints by providing the maximum effective levels of glucosamine HCL (2000 mg), chondroitin (1200 mg), collagen (50 mg) and MSM (500 mg). The liquid form is easier to swallow, requires fewer doses and offers superior bioavailability than many pills and capsules. So I started taking this thing a few days ago and within the first day my pain was substantially minimized. I’m no doctor nor some sort of scientist, but all I know this stuff is working. I feel my knee getting better as each day that I take it. The bottle I got was about $18.00, that should last me about a month.